It wasn’t until I saw this Disney World commercial that it clicked for me: Awaken Summer is a campaign both celebrating and promoting specific experiences at the four Walt Disney World parks taking place this summer. Some events are new and some have been around for a while, but there’s at least one new major experience coming to each of the four theme parks this summer. 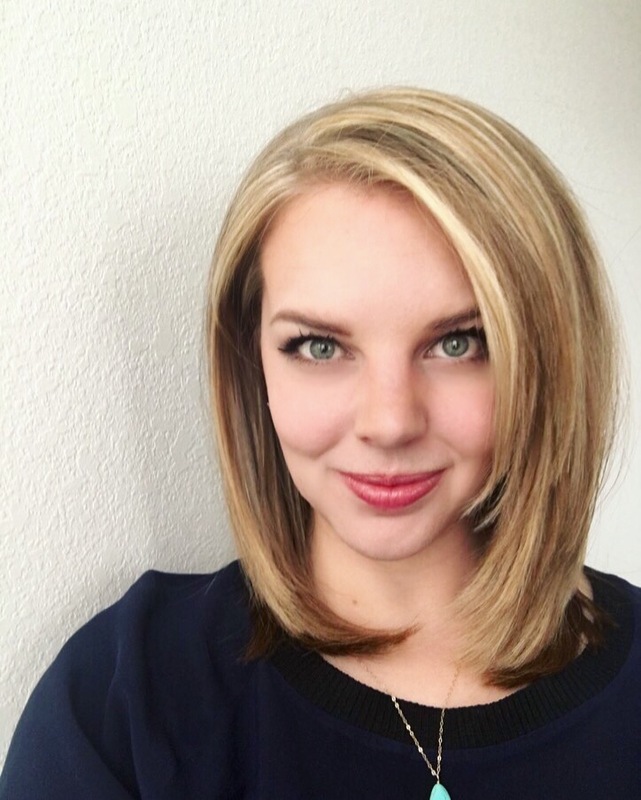 Check out the commercial – maybe it will clear things up for you, too. Now that I understand what #awakensummer is all about, I want to share the things I’m most excited about for the upcoming months. 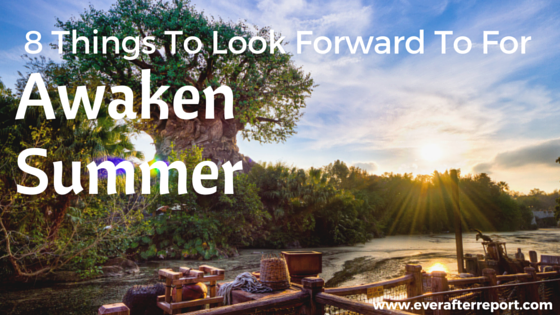 Here are my 8 Things To Look Forward To For Disney World’s Awaken Summer. 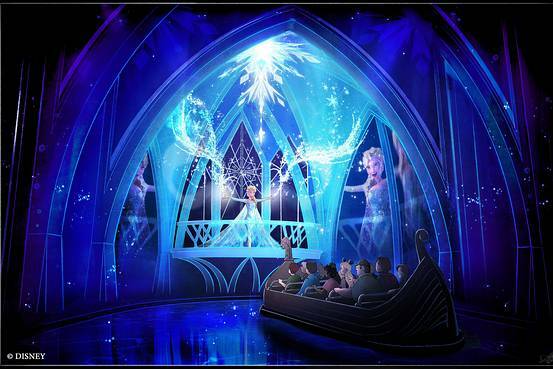 Frozen Ever After is the upcoming boat ride inspired by the hit film “Frozen” that is set to open sometime this summer at the Norway pavilion in Epcot’s World Showcase. The ride is replacing the original Maelstrom boats that ran from the opening of the pavilion until late 2014. While the “passing” of Maelstrom was controversial to say the least, I’m still excited to see the updated pavilion and the new attraction. Along with Frozen Ever After, there will be an expanded “Frozen” area including the all new Royal Sommerhus where guests can meet Anna and Elsa, and you can meet Olaf at the all new Celebrity Spotlight in the Echo Lake area of Disney’s Hollywood Studios. I will say that with this Frozen expansion and the Royal Sommerhus area basically being a micro version of Arendelle, I hope that the integrity of the Norway pavilion remains. The entire Maelstrom/Frozen controversy claims that the World Showcase is meant to be an “edutainment” experience where the cultures, architecture, and history of the countries represented should be accurate and authentic to the real deal, even if they are presented in a romantic fashion. I will be highly disappointed if the pavilion basically turns into “Frozen Land” and is no longer a true depiction of Norway or any other Scandinavian province. However, I suppose that is what’s keeping me excited and intrigued. I’m really rooting for this expansion to be done the right way, with the integrity of the pavilion remaining intact, but I guess we’ll just have to wait and see. Along with some of the major closures we’ve seen at Disney World in the past year, the Dream Along With Mickey show that took place in front of Cinderella Castle will be replaced with Mickey’s Royal Friendship Faire this summer. I loved the old castle show (as my former Cast Members and I used to call it), but will be the first to admit that it had been around for a long time, and was one of the elements of the parks entertainment that was up for a remodel. The narrative explains that the “Fab Five” have invited some outside friends to their celebration. Goofy invites Princess Tiana, Naveen and Louis to jazz up the party, Donald Duck brings Winnie the Pooh and friends, while Daisy Duck introduces us to her guests, Rapunzel and Flynn. Finally, Mickey Mouse shares a surprise with Minnie Mouse, as he has traveled to the land of Arendelle and brought back with him Olaf, Princess Anna, and Queen Elsa, who culminates the show with a swirl of icy magic. I’m looking forward to seeing the new show with a fresh cast and new set of songs. DAWM will always be a bit nostalgic for me since it came out when I was working at the parks, but I totally understand the need for and look forward to the updated production. 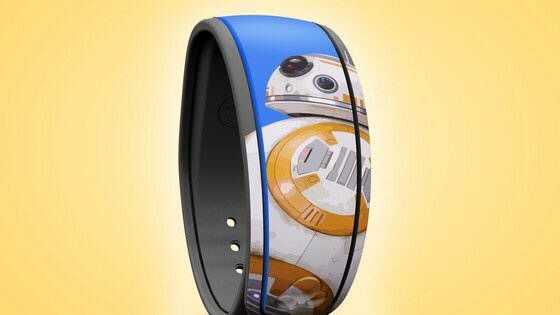 Not only will guests be able to enjoy all these new experiences, but for an added bit of fun, Disney is releasing a limited edition Awaken Summer MagicBand design. You can get this design by adding a minimum 2-Day Magic Your Way ticket to your travel package when you book your tickets. The design is super cute, featuring none other than BB-8 and even lights up and plays music specific to where you are in the resort. At Magic Kingdom music from the new castle show plays, at Epcot music from “In Summer” will play, at Hollywood Studios music touch screens will play the Imperial march or BB8 and TIE Fighter sound effects, music from Rivers of Light will play at Animal Kingdom, and sounds of Kristoff and Sven play at Blizzard Beach. I think this is a super cool, fun idea and is a special added element if you choose to take your vacation during this time. Dory and others from the sequel will be stopping by to chat and talk with Crush as well as us humans starting this May. Even though this attraction is aimed at kids, it’s really amazing to see the technology and interaction from the “Nemo” characters, and it’s just about as good as a traditional meet and greet. Hollywood Studios unveiled an all new fireworks show set behind Gromman’s Chinese Theater on Hollywood Boulevard. The show features state-of-the-art projection effects, dynamic lighting, lasers and pyrotechnics, and even appearances from characters of the franchise. The show sounds pretty spectacular, especially with John William’s incredible scores bursting through. I’m very excited to see what Disney has done with this show, and hope that it remains a nightly event beyond Awaken Summer. During Awaken Summer, you can enjoy up to 30% off select Disney World Resort hotel rooms on most nights between June 12 and August 25, 2016. This is exciting, particularly if you think of it this way – if you book 5 rooms at a Value or Moderate resort, it’s like getting one night for free! You can also save between 15% and 25% on nights between May 30 and June 11, 2016. That’s a pretty solid deal, if you ask me. I’ve talked about dessert parties before, and at this point, pretty much every single night time spectacular has one. A dessert party is an extra ticketed event that is pre-paid and offers specialty desserts and beverages as well as prime viewing for any of the fireworks or other night time shows. Typically, the cost is anywhere from $29 to $49 per person. I think the dessert parties definitely make for a special evening. The Illuminations and Wishes! parties offer the best seating, or rather the prime seating makes the biggest viewing difference versus finding your own spot. I’m excited to see what the dessert parties have to offer for Rivers of Light and the Star Wars fireworks. Animal Kingdom by far is undergoing the most drastic transformation, as Disney is adding night time events and shows turning the infamous “half-day park” into a full day park. There’s been quite a lot of talk about turning Animal Kingdom into the night time destination out of all four theme parks, and I’m really looking forward to seeing if this is the case. To start, Animal Kingdom is releasing an all new night time show on Discovery River called Rivers of Light. 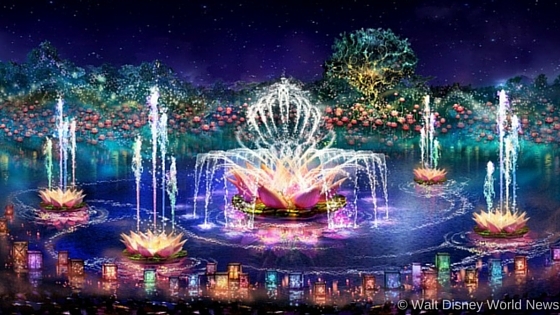 The show is said to combine never-before-seen DisneyNature footage, live performances, light effects, pyrotechnics, floating lanterns, and theatrical nature imagery. The Tree of Life is also set to “awaken” at night when the park’s centerpiece comes alive with thousands of lights and projections of animal and nature imagery. The Discovery Island Carnivale is a new party set to welcome the night with exuberant music, dancing, costumed performers, face painting, and food. And the Harambe Wildlife Parti will break out in Harambe Village at night where you can see street vendors, musicians and entertainers in this super-cool safari celebration. With the day-to-night transition, guests will also be able to enjoy Kilimanjaro Safaris, Expedition Everest, Kali River Rapids, and DINOSAUR open after dark. Did I leave anything out? Tell me what you are most excited to see at Disney World this summer in the comments below. 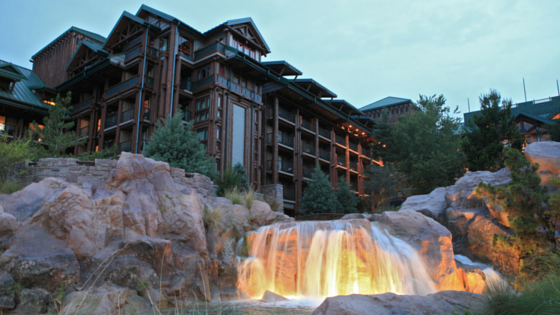 Are you planning a trip to Disney this summer? Don’t forget to download my customizable Disney World Travel Planner for FREE! And be sure to follow Ever After Repot on Instagram and Facebook for more Disney tips.